What metals do jewelry makers most commonly use to make jewelry? Average men and women might correctly guess gold and silver. A few might also add platinum to the list. It’s likely that few would think of pewter. Even though lots of jewelry makers and owners favor pewter jewelry for good reasons, people may not always recognize this valuable alloy when they see it. Worldwide, pewter is actually the fourth-most-common metal for jewelry making. Sometimes, jewelers polish pewter to mimic silver, platinum, and other white metals. In other cases, they might antique or darken the surface for a more bronzed look. Often, they use pewter as a base and add gold or silver plating. Because pewter has been used to produce so many different kinds of pieces, it’s possible to miss its importance for jewelry making. Why is Pewter Such an Important Metal for Jewelry Making? People have been making the metal alloy called pewter for a long time. It’s possible to find examples in museums and collections that date back to Ancient Egyptians, Romans, and Celts. Perhaps since the alloy is too soft for tools or weapons, there was no real Pewter Age as there was a Bronze and Iron Age. However, people probably learned to make pewter at about the same time that they learned to make bronze. While bronze is made mostly of copper, pewter is made mostly of tin. Thus, bronze is harder, but pewter has other qualities that make it ideal for making jewelry. During many historical periods, the useful alloy gained prominence as a common material to fashion many different items. These pewter pieces include jewelry, eating utensils, tableware, and candlesticks. Affordability: Since pewter contains mostly tin, typically along with traces of copper, antimony, or other harder metals, the alloy certainly costs less than gold, platinum, and even silver. Most pewter jewelry and other products are valued for their beauty and workmanship more than for the cost of the metal. When compared to precious metals, the lower cost of pewter obviously contributes to its popularity. Versatility: Because tin is soft, pewter is also rather soft, even though the other metals in the mix harden it somewhat. Still, this pliable quality allows artisans to create distinctive and complex designs with this metal. 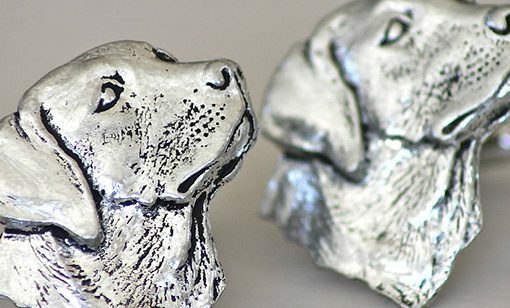 Pewter pieces are often quite prized for their artistic merit and craftsmanship. Durability: Again, the softness of this alloy means that owners need to take some care with their pieces. On the other hand, they won’t have to worry about pewter tarnishing like silver and other metals do. In the old days, pewter contained lead as a hardener. Since lead can be toxic, people would be prudent to limit exposure to any vintage pewter. Belmont, through our NEY Metals brand, supplies safe, lead-free pewter alloys for applications that may come in contact with skin or food. Of course, this includes jewelry, tableware, or utensils. Besides tin, pewter alloys may contain small amounts of copper, silver, antimony, and/or bismuth. Jewelry makers may select the type of pewter alloy because of its hardness, its appearance, or their planned casting or molding techniques. At some points in history, pewter has been called the poor man’s silver, but this isn’t really a fair description of this useful alloy. Some benefits of using pewter for jewelry include the lower price, lack of concern over tarnishing, and especially, the pliability of pewter that make it possible to create elegant and complex designs. Many fine jewelry makers use pewter because they can offer more affordable jewelry; however, others focus on pewter because it is the right metal for their designs.